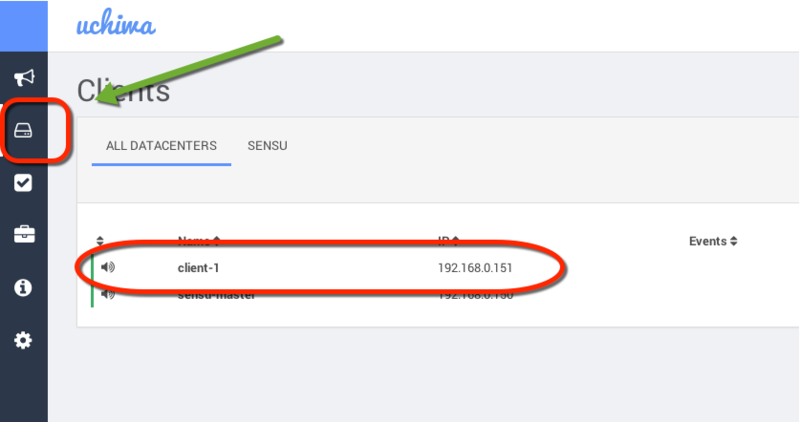 When I first set up my Master Sensu server I also set up the same box to run the Sensu Client as well. In my /etc/sensu/conf.d/client.json I put the following text. I am going to change its subscription form ALL to check-from-sensu-master. I think this is more clear this way, also while I am doing this I am going to set name to sensu-master. After editing this I need to edit /etc/sensu/conf.d/check_file.json to change the subscribers. Restart the Sensu Master and Client on the Master Sensu box. Looks like its working fine. Looks like its all working fine! I have my master Sensu server set up and now I want to set up a Sensu Client on another server. In my case it will be a server located at 192.168.0.151. Before I get too far, sense I have a fresh install of Ubuntu 14.04, I need to update and upgrade apt-get. "[amqp] Detected TCP connection failure"
I think this is due to the set up of rabbitMQ on the master server. I think it's not aware of the client. Edit the file and fix it. Here is what I set mine to I had to remove the specific listener. Reload Uchiwa and click on the clients button on the right. And you can see that my client-1 sever was added! 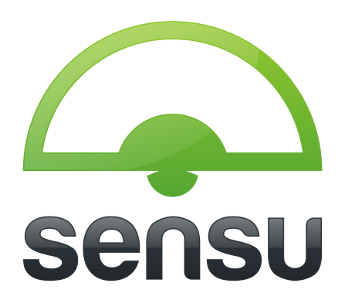 Now I have two Sensu clients, client-1 and sensu-master. 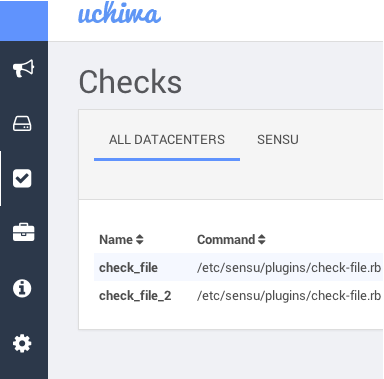 I am going to recreate check-file.rb that exists on the Sensu Master onto the Sensuc Client. This time it finds the file and returns OK.
On the Sensu Master server update the check_file.json to the same. I still only have one check, but now that check has two subscribers. 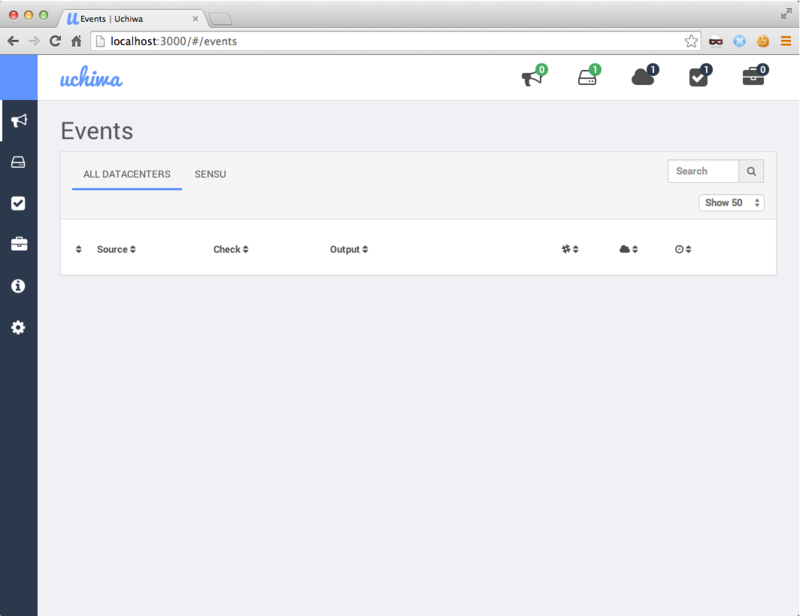 Finally I have a Sensu Client successfully running on another server! I want to set up a second check, but one that only client-1 subscribes to. This will check to see if the file /home/patman/test-2.txt exists and only for the client-1 subscribers. I soon see this alert show up. Since I am running in safe_mode the code must be on the client and the server. The error went away, but a new one came, because I do not have the file. 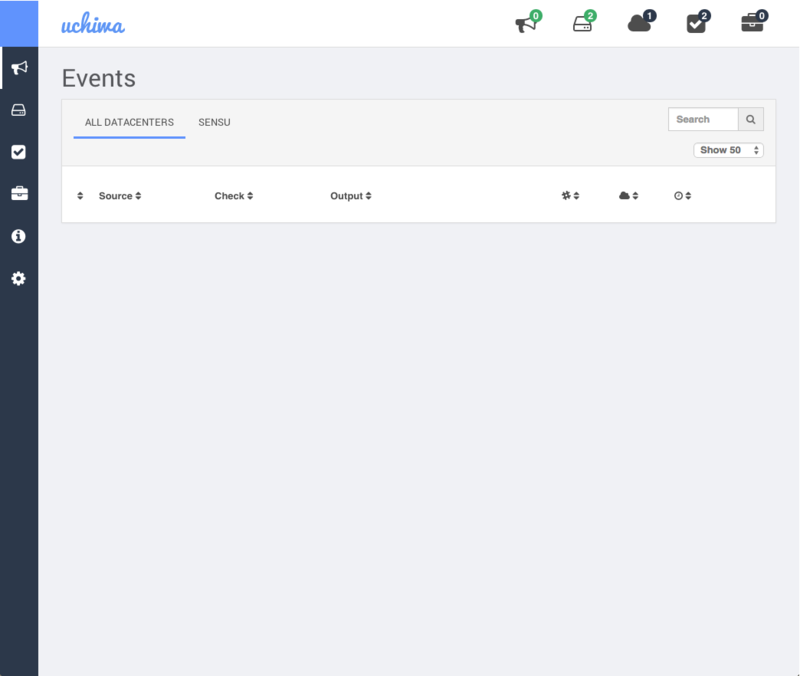 · A client running on another machine running two checks, but under the same subscription. That is it for this write up. 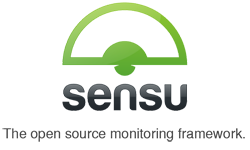 Epic Goal: My goal is to figure out how to use Sensu to monitor systems. thanks, very easy to follow guide. helped me a lot.